Optical Bonding is the affixing of two optical elements to one another, using a liquid adhesive. In this way, we differentiate bonding from lamination. By lamination, we are referring to the affixing of two optical elements to one another using a pressure sensitive adhesive. Bonding is suitable for use with elements which are rigid and may be substantial in size, while lamination is suitable for affixing a thin membrane, such as an antireflective-coated plastic film, to a more or less rigid substrate, such as an LCD, OLED, Plasma display, touch sensor or anti-vandal shield. Using the qualifier optical implies that the adhesive is transparent, has a suitable refractive index and is made under adequate control that there are no significant variations in optical properties within a single bond. On a practical side, the adhesive must also provide adequate bond strength, have a reasonable pot life after preparing, not present any health or safety issues, be available at reasonable cost from reliable sources and cure to the finished bond condition using temperatures and time which are friendly to flat panel display manufacture. Fortunately, there exist a relatively large number of choices. Primarily, optical bonds are used to eliminate multiple reflection issues that arise whenever some kind of optical part is used in conjunction with an LCD, OLED or Plasma display. Examples of such parts include touch sensors, anti-vandal shields, EMI filters and heaters. 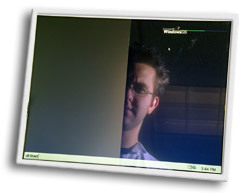 The front surface of the flat panel display is typically (though not always) made using a polarizer which is antiglare treated. For applications in certain challenging lighting conditions, this is the wrong kind of surface. In this case, optical bonding can be considered to add both vandal resistance (or mechanical robustness) to the display, along with a reduction in unwanted glare effects. Every optical surface will have a reflection loss. This arises from the phenomenon of Fresnel reflection and is the optical equivalent of an impedance mismatch. A discontinuity of impedance will cause a reflection of the electronic signal. In the same way, a change in refractive index will cause an optical reflection. It is the goal of the display designer to minimize these unwanted noise sources. where R is the reflection coefficient and n1and n2 are the respective refractive indices of the two media. In general, the greater the angle of incidence with respect to the normal, the greater the Fresnel reflection coefficient. The situation is considerably more complicated for polarized light and will not be discussed here. The amount of reflection which is seen from this effect is significant when there are numerous surfaces. For a nominal refractive index of 1.5 (most common glasses are near this value), the reflection amounts to 4% per surface. For this reason, high quality lens systems will be given antireflection coatings consisting of one or more dielectric thin-film layers having specific refractive indices and thicknesses. Antireflection coatings reduce overall Fresnel reflection by mutual interference of individual Fresnel reflections at the boundaries of the individual layers. Typically, it is possible to reduce the integrated reflectivity over the wavelength range from 450 nm to 650 nm to well below 0.5% per surface. For large size sheets, and for the display surface itself, this becomes impractical and/or expensive to do. Enter Optical Bonding. By using an optical bond, it is possible to provide a low reflectance outermost surface by coating only one side of one piece of glass. This outer coating, as stated, will be a very low reflectance and the bond will eliminate the optical transitions within the rest of the viewable portion of the display. This is true, even if the refractive index of the adhesive, the cover glass and the display are not exactly matched. A simple calculation of the reflectance to be expected, using the equation above, shows that a mismatch of 0.1 in refractive index (assuming 1.5 for the bond adhesive) will only give a reflectance of 0.1% on either side of the bond, much better than an unbonded situation of 4% per side. the antiglare treatment amounts to a controlled roughening of the surface. This causes a bright glow on the face of the display which cannot be avoided, regardless of the relative angles between the light source, the display and the viewer. It is a Lambertian reflectance and will significantly reduce the viewability of the display in high ambient lighting. By bonding an antireflective glass to the face, this Lambertian reflectance is converted to a specular (image forming) reflection. It is now possible to adjust the angles of the display and user to minimize the distraction caused by the reflections. A side benefit of bonding is an increase in usable light output. Not only have we reduced the reflections of ambient light (an optical noise), but the light from the display which was being reflected out of the path toward the viewer’s eye is now directed to the user; this is an increase in the signal, or light output. Another point to be considered arises when the display is to incorporate a conductive surface, such as an EMI filter or heater. The most commonly used conductor is indium tin oxide (ITO), which has a refractive index of about 1.95. This will yield a Fresnel reflectance in air of about 10% per surface. If normally deposited ITO is bonded without regard to index matching, the reflectance will be reduced to less than 2%. By using a graded coating which is index matched to a nominal 1.5 for the bond, the reflectance can be reduced to less than 0.5%. The advantages with regard to bonding onto the rear of the flat panel display are less certain. Any light which is reflected from the rear surface of the display will be internally reflected within the backlight system and may very well end up being used to display the information with no loss of contrast. It is also possible that the backlight film system is relying on this reflected light to improve the uniformity of the light output. However, some additional robustness is imparted to the display by such a bond. When considering the optical bond as in a larger sense, it is also important to look at the impact of each material to be used on the properties of each other material. Introduction of new materials into the process must be accompanied by a study of how such things as cure time and environmental stability of the adhesive may be affected by the new materials. A specific example is the use of certain types of silicone tape with a silicon-based bonding adhesive. The metallic catalyst used in creating the tape has an inhibition effect on the cure of the adhesive, and so must be avoided. Having said that, we can proceed to some general design guidelines. At General Digital Optical Bonding Laboratories, the preferred adhesive, with which we have the most experience, is a gel type of silicone. This adhesive has been used for at least 30 years in making optical bonds to displays, both commercial and military. Because it is a relatively soft material, it is very feasible to rework, with minimal risk, any bonds that have a problem. The major drawback to this material is a tendency to form debris if the edge of the bond is rubbed during handling. To reduce the severity of this as an issue, we seal the edges of the bond using a thin black tape or a configuration which does not expose the edge to abrasion. The other adhesive that we have used successfully is a flexible epoxy formulation. This makes a much more rigid bond than the silicone, but does not have any tendency to form particulate debris. It is not reworkable in the event of any issues during production or use. However, for some designs in which the use of a tape to seal the edge is not practical, this would be the adhesive of choice. Interacting with the choice of adhesive is the detail of the bond design. There are numerous possible configurations that can be and are in use. These include over-the-frame, in-the-frame and under-the-frame, as well as behind-the-display and frameless designs. Each have their unique attributes. Over-the-frame and in-the-frame bond designs require that the LCD, OLED or Plasma display be first sealed to the OEM metal frame to eliminate the possibility that the adhesive might leak into the backlight and contaminate the films which are present. A non-corrosive silicone formulation is used to effect this seal. Under-the-frame, behind-the-display and frameless bonds require that the flat panel display be disassembled before the bond can be made. After the bond has cured, either the OEM frame or a customer-designed frame must be affixed to the display. Our first experience was with under-the-frame bonds for the GenStar™ product, a 20.1" LCD used in an FAA control tower application. This large size created some severe concerns about handling and yield. Our experiences with this were, however, very good. During 2002, General Digital Optical Bonding Laboratories bonded approximately 500 of these displays with a yield in excess of 95%. It was our early success with this product which encouraged us to offer the bonding service to other customers. The in-the-frame design is currently in limited production, primarily for avionic applications. The adhesive is an epoxy, as described before. This was selected so that the bezel could be affixed to the display metal frame, with the bonded antireflective glass extending into the opening, reducing any issues of view angle and parallax to the display. One drawback to the under-the-frame and in-the-frame bonds is that they are not suitable for making a liquid-proof or drip-proof seal to the bezel of the monitor. To accomplish this, monitor builders usually prefer to form a seal to the antireflective glass. In this case, an over-the-frame bond is necessary. This bond design is also required in the case of an optically-bonded touch sensor. The details of the bond may vary slightly, depending on the nature of the overlay. However, in general, there is a gasket of some sort placed onto the face of the OEM frame, forming a well-defined bond thickness and protecting the edge of the seal from abrasion. It is, of course, possible to bond more than one overlay to the display. A specific example is the use of a conductive glass to control EMI, to which is bonded a touch sensor. General Digital Optical Bonding Laboratories has produced approximately 100 displays of this design for a military aerospace application. We are also working on another production design which has a heater bonded to the LCD over which is bonded an EMI/AR glass. In the case of a true NEMA 4 enclosure or a display for use in CBW applications, where the display surface may be required to have the ability to be pressure washed, making a reliable seal to the bezel has always been difficult. Applying any significant amount of pressure to the mounting points of the flat panel display (typically two places on each short edge of the display) can cause the display to experience substantial stress, which is seen as bright or dark spots in the display background. Even with a bonded overlay, this has been a problem for the monitor integrator. To overcome this, General Digital Optical Bonding Laboratories has developed, and applied for patents on, a design we call the XO-Fraim™. In this design, a rigid frame member is provided for clamping directly to the overlay glass at many places around the periphery. This frame serves as a spacer and edge protector for the optical bond. The display is then attached to the frame using a double-sided gasket material and held in place with light clamping force applied to the four mounting points. This mitigates the issues of stress on the LCD, OLED or Plasma display by applying all of the sealing forces directly to the overlay glass.